Who is, “Elizabeth McGlasson”? Tell us a little about yourself. I am a self-taught artist that lives in the desert with my family and four dogs. I do believe people who identify as artists start out as artists and they will be drawn to it their whole lives. You are called to it in ways that people, who don’t share your affinity for it, do not understand. I wanted to create cool things so I taught my self to create cool things and time and practice has only made me more excited about what I do for a living. 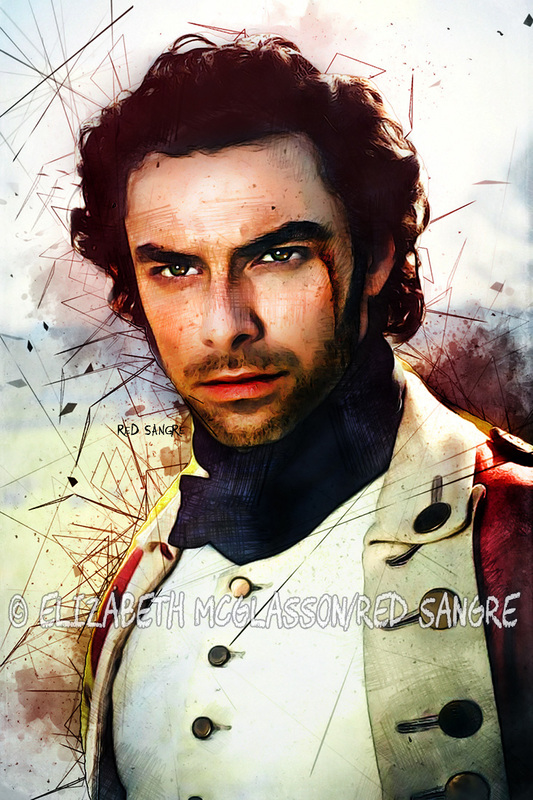 Your series of digital work revolving around Aidan Turner is amazing. Why did you start on such a series and how do you keep the inspiration flowing to keep creating more? I am not sure why painting his face comes so easy to me. Having been a fan for several years now, I’ve certainly looked at him long enough but capturing him digitally – with any sort of success or accuracy – was as much a surprise to me as it was to others. Every artist has a muse. I have no clue why he is mine but he very much seems to be. What is the most challenging part about working digitally? The digital framework is limitless and my challenges arrive when I try to do something I have never done or don’t know how to do. I have a tendency to get frustrated and throw temper-fits at myself when things aren’t going how I think they should be and then delete the whole projected. Of course, you can’t come back from that. Other than a occasional fit of impatience – the platform is limitless. 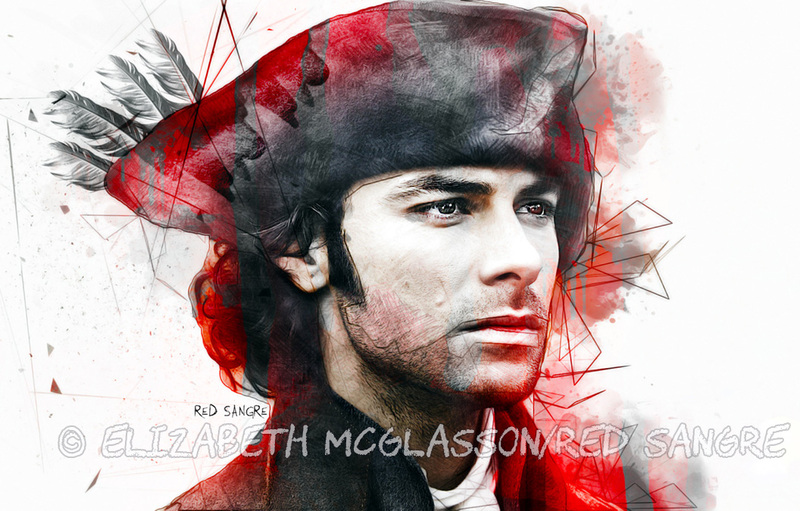 Hands down – it has been The Cornwall Series that I created around the characters of the Poldark program. 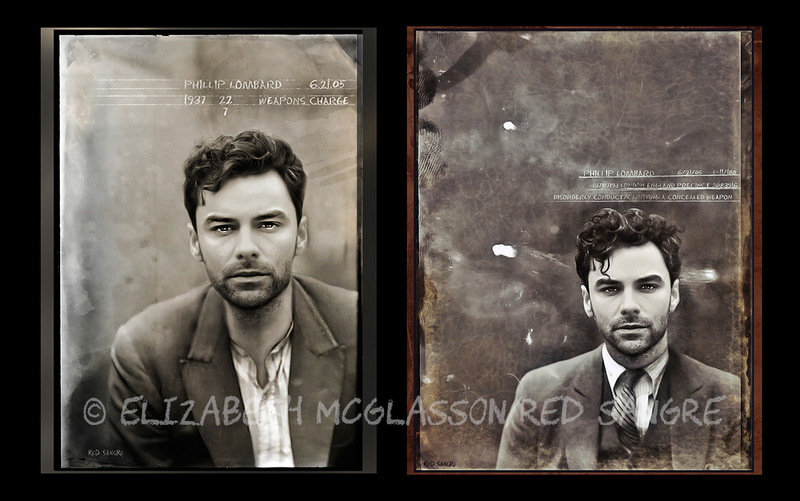 A calendar of the images was given to Aidan Turner (and by all accounts, he was thrilled with it) – there is also a poster of my art hanging in the Mammoth Screen production offices – the group behind the show. That is surreal to me! Is your art hanging or displayed in your home? If so, where and how? If not, why not? What type of art (besides your own) hangs on your walls? I do have my art hanging in my house – mostly in my bedroom around and in my work space. I also collect Day of the Dead tiles, so I have several of them displayed in a grouping on my wall. Besides that, I have a deep connection to photos of abandoned things. I love the photos of Niki Feijen – he is a Dutch photographer who travels around Europe capturing images of life in decay. It reminds you how fragile the world around us is. Where else in your life does your creativity emerge on a regular basis besides in your art? 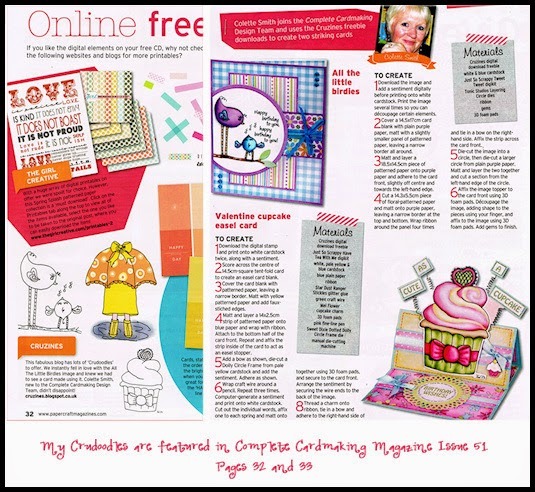 I like to cross stitch – anything to keep my hands busy. I can’t imagine sitting still. Brave. Loud. Funny. Humble. Insomniac. Childish. Loyal. Encouraging. Tattooed. Mom. 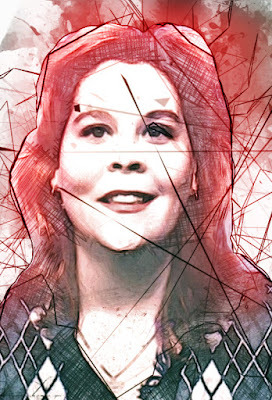 Thank you so much Elizabeth, for this wonderful look into your creative process, your art and you. Posted in artist feature, artist interview, Friday Art Feature and tagged digital art, Elizabeth McGlasson, RedSangre. ← Someone Please Tell Me How….